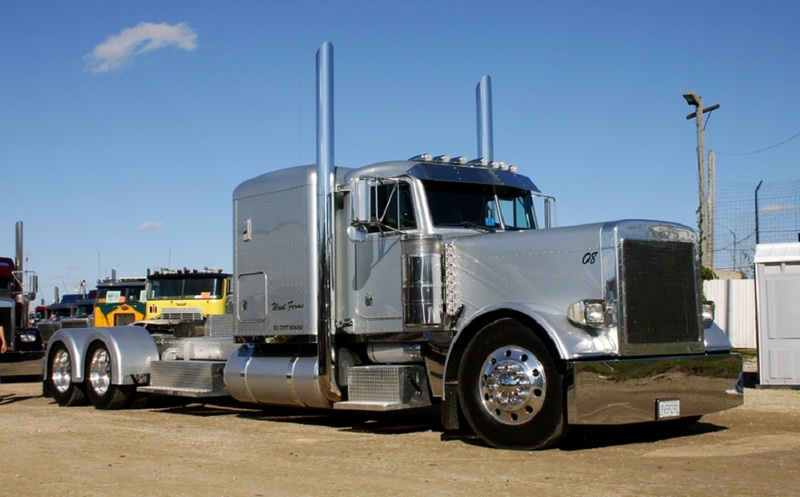 Located in Kasson, MN., The Big Iron Classic is a truck show for semi-trucks and trailers. Every year it features over 700 Bobtails and Custom Combos. Over 15,000 people attended the Big Iron Classic last year. Every year the Classic continues to grow. The purpose of the show is to collect toys for charity, review new technology, show off your rigs, enjoy the truck pull and other events, but most of all it’s a good time for both the truckers and public alike. The Big Iron Classic is the Midwest’s largest “Working Class” truck show and one of the local area’s largest charity contributor of toys! To sum up the show… It’s like a giant family reunion for all those who love trucks, toys, music, food and fun. We hope to see you there. The Big Iron Classic will be held September 8 – 9, at Dodge County Fairgrounds, in Kasson, MN. The truck pull is the hi-light of the weekend. Come and watch as these big diesel trucks compete to pull a weighted sled as it digs deeper into the track the further it is pulled. This year’s bragging rights are up for grabs again! Every year this event is a complete sellout. This year will be even better as we will have several classes in the truck pull along with the “King of the hill”; a pull-off with the champions in each class; excluding Antiques. A winner’s trophy is awarded in each class. Ages 13 and older. Kids 12 and younger will be admitted free with a paid adult.Pit passes are available at registration for $20.00. No children under the age of 14 in the pit area. For safety reasons Families with children in the pits must stay in fenced in area of pits. There will be Trucks on Display, Live Entertainment, a light Show and a Parade. The “Parade of Big Rigs” will go through the town of Mantorville, which is located a mile north of Kasson where the show is held. Then the parade travels to Byron and arrives in Mantorville around 3.30pm. There is no charge to the public for any events except the truck pull. However, we encourage you to show your appreciation and support for the event by contributing a tow or two in one of the collection boxes.